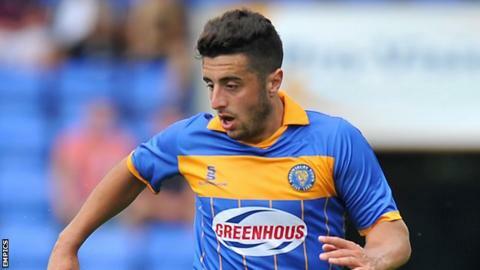 National League side Macclesfield Town have signed striker John Marsden after a trial period in pre-season. The 22-year-old scored last weekend against Congleton in a 7-1 victory for the Silkmen. Marsden began his career at Shrewsbury, where he made five appearances before moving to National League sides Lincoln City and Southport. "It's great to be given the opportunity to play and prove myself," he told the Macclesfield website. "I see myself scoring goals in this team, it's a good attacking side with great ability and I believe if I get the chance I'll put the ball in the back of the net." Macclesfield start their National League campaign away at Torquay on Saturday.